Anyone else hate cooking chicken? I think my mom scarred me growing up after always panicking that the chicken wasn’t cooked. Now I panic haha. 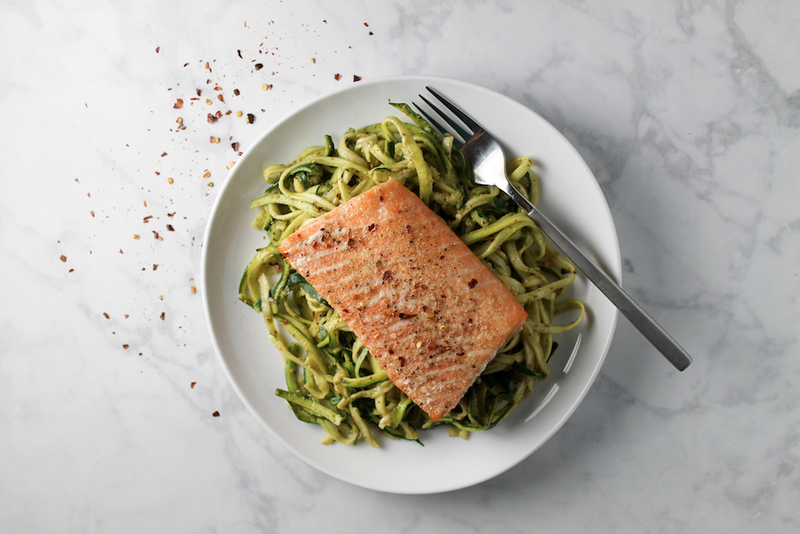 Anyway, after a few practice rounds, I have the EASIEST healthy baked salmon recipe for you. It’s foolproof for anyone who wants something simple, but still super flavorful and delicious. Sometimes I change up the seasoning, but the the sea salt, pepper and garlic powder combo makes the top form a nice crispy coating while the inside stays flaky. 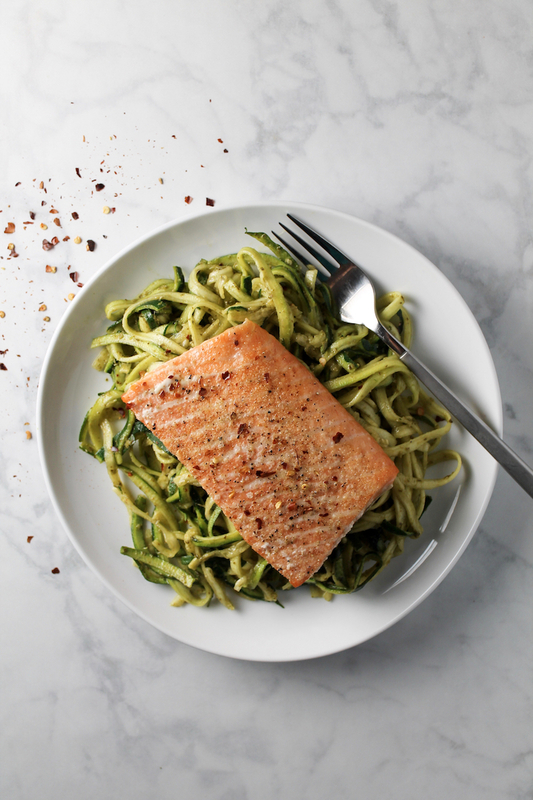 I pair this salmon with a mixture of steamed and roasted veggies or place it on top of zucchini noodles for a low carb dish. I make this salmon for Lou and I once a week and it comes out perfect every time. Hope you enjoy! Place the salmon skin side down on the baking sheet, and drizzle olive oil over the top. 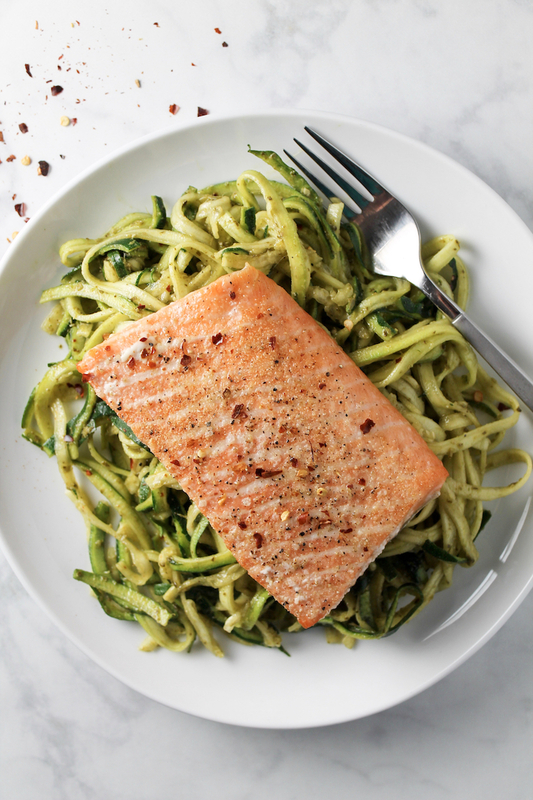 baking time will depend on the size of your salmon. Cook your salmon for around 10 minutes per inch thick (ie. 2 inches think would be 20 minute). It should flake easily with a fork when done.